WHAT IF I DON’T HAVE MONEY TO RUN ADS? Through our system we show you how to get leads and recruits without spending money on ads first. 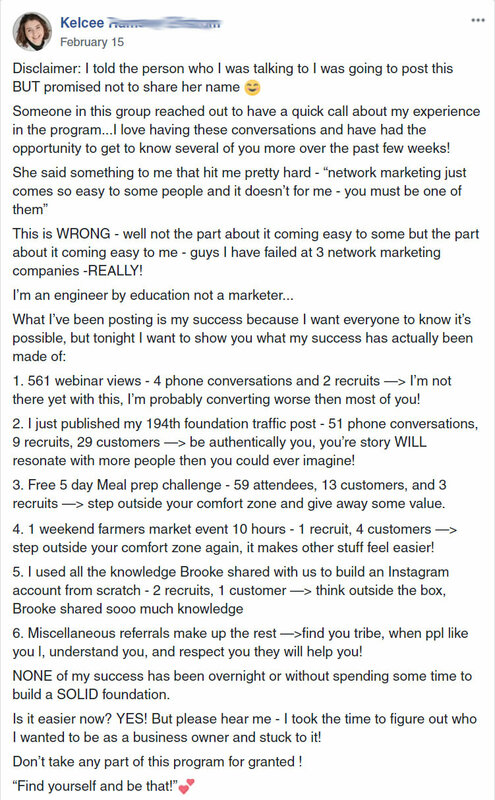 This will require work, but it’s not spamming your friends and family or posting about your products 20 times a day. Our goal is in the first month or two to make you extra money so that you do have money to spend on Facebook ads. There are so many people out there saying they can help, but when it really comes down to it, they may not be a good fit for you. It’s important to research the people that you ultimately choose to work with. Here are some tips in deciding..
First, does what we are saying make sense? Can you see how it could work? If the education you have received makes sense, that is the first thing to consider. Second, you have had a conversation with us? You can tell a LOT about a person by getting on the phone with them. Third, look at the videos and interviews we have above. 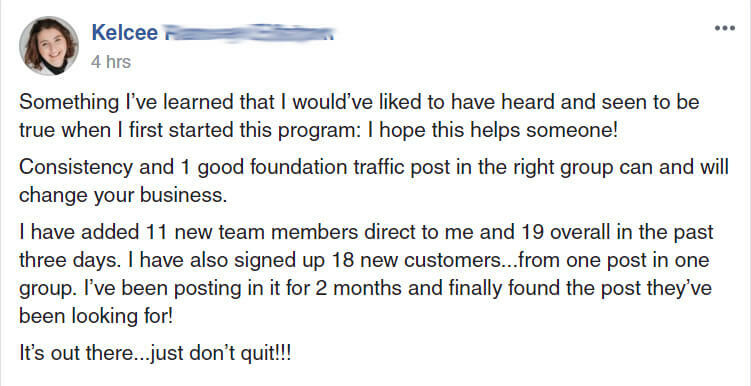 The people that we help are genuine and are getting results. We’ve found that every person that puts in the work and follows the process is having success in some for or another. WILL THIS SYSTEM WORK FOR MY COMPANY? Yes, all direct sales businesses are different and they come with their own policies and procedures. 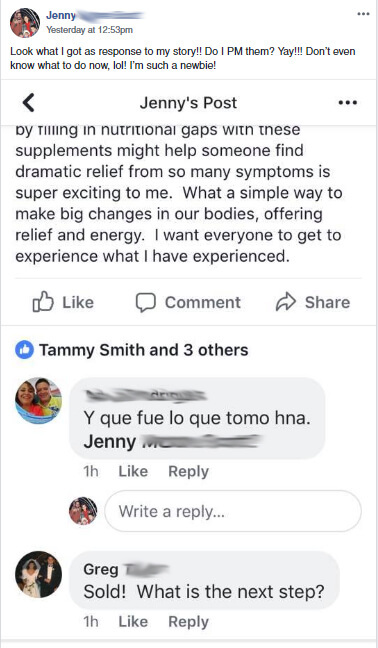 Some companies won’t let you run Facebook ads promoting the opportunity or products. That’s fine. We have a work around for that. Other companies won’t let you talk about your opportunity on a webinar or use their name. That’s ok too. We’ve been helping companies for so long there hasn’t been a situation where we can’t find a work around to make you successful. I do guarantee that if you don’t make a change you’ll either grow your team very slowly or not at all. Every person that we have talked to that didn’t take advantage of our program when we reach out to them a year later are STILL in the same place as they were when we talked to them. When I first started my business I tried to do things on my own and learn from all the free content that was out there, but it wasn’t until I hired a coach myself and paid him more money than I had that my business really took off and grew FAST. Having a coach worked. In less than a year I was able to be a director in my company and have a 6-figure business. The only guarantee in life is that if you keep doing what you are doing nothing will change. You will not get the results that you want. The “cost” of figuring out all of this on your own is much higher than the “investment” to work together. Phase one is really designed to help you get to know you and your business inside and out. You are going to discover your message, your brand, what you stand for and who you really want to help. Phase two is where we get really clear on your movement and start creating your culture of your brand. Here we show you how to start having people reach out to you. Phase three we take all the pieces, all the techniques and skills and put it into one automated system. That way you can get recruits and people reaching out to your automatically. Phase four we cover everything you need to know about being a leader. We show you how to REPLICATE your business model for your team, not duplicate. Your team will be able to build a business that is authentic to them just as you have.